With less than a month before pitchers and catchers report to Spring Training for the 2019 season, all 425 members of the Baseball Writer’s Association of America have voted to determine who will be enshrined in baseball lore forever. This time of year is always fun for the fan and the writer who has no dog in the fight, but ultra stressful for those who have a vote—and especially those who go public with their ballots on social media. 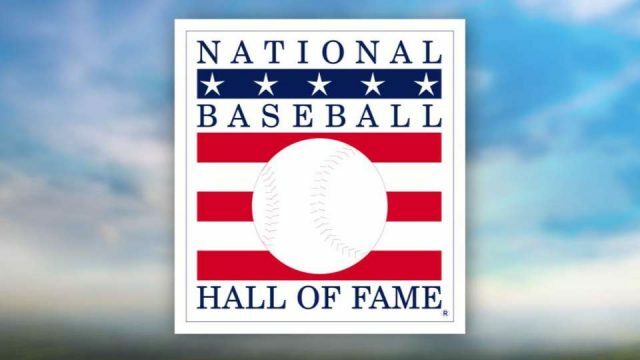 With the controversial names of Barry Bonds, Roger Clemens, and Curt Schilling gracing the ballot yet again, it seemed early on as if those three had a very strong possibility of getting inducted. However, that was not the case. Starting from the first name to be called tonight, let’s break down each newcomer to the Baseball Hall of Fame. Martinez entered this winter under his last year of eligibility on the ballot, before his only chance of being inducted hinged on the Veteran’s committee. But the longtime Seattle Mariner has become just the second designated hitter to be inducted into Cooperstown. Martinez held a slash-line of .312/.418/.515 over the course of 18 seasons. He also finished with 309 home runs, 2,247 hits, and a career WAR of 68.4. But what makes Martinez such a special player is shown outside of all of his great numbers. Rather, his career can be summed up in one event. Let’s rewind all the way back to the 1995 season. The MLB season was just 145 games due to a strike that prematurely ended the 1994 season before the World Series could even be played out. A lot of talks had come upon which team would relocate to Tampa Bay, and Seattle was one of the teams in the discussion. However, the Mariners went 79-66 and won the AL West. The problem was, the Mariners had to face the New York Yankees in the ALDS that year. The series went the distance, and the deciding game went to extra innings. The Yankees wound up taking a 5-4 lead into the bottom of the eleventh, but the Mariners of 1995 just didn’t quit. They managed to tie the game and won it on an Edgar Martinez walk-off double. He saved baseball in Seattle, and it’s only fitting that he is repaid with a plaque in Cooperstown. The baseball world was stunned back in Nov. 2017 when news broke of the passing of long-time Blue Jay and Philly ace, Roy Halladay. At just 40 years of age, his life was over in a plane crash. 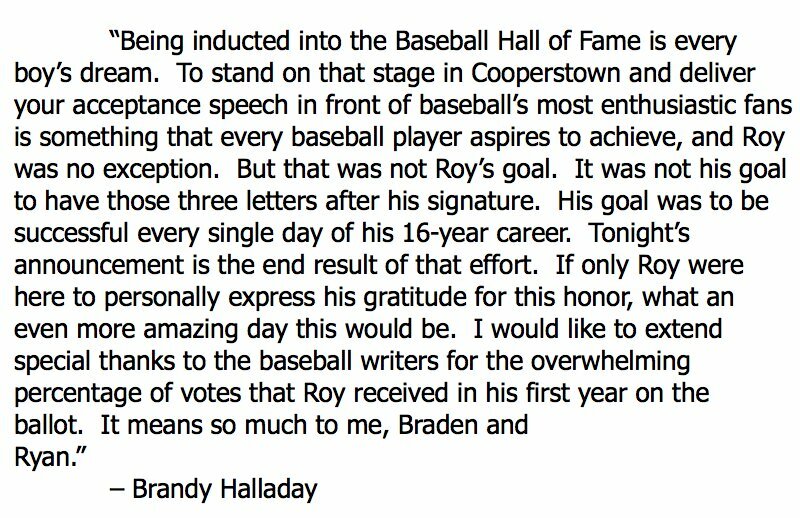 That being said, it really made everyone look back and reflect on what a truly miraculous career “Doc” Halladay had for 16 years. While injuries riddled him in his final two seasons, limiting him to just 38 starts and an ERA of 5.15 in those starts, it did nothing to tarnish the phenomenal career that the right-hander had. He finished his career with 203 wins, over 2,000 strikeouts, and one of only two no-hitters to ever take place in the postseason. Oh, and he did that in his postseason debut. His career WAR was 64.3, which averages out to over four wins per season, and according to MLB Network’s Brian Kenny, that should warrant a Hall of Fame induction. The man who has donned the nickname “Moose” gets in on his sixth try. It comes as a bit of a shock to some, especially those in avid support of Curt Schilling’s status. However, it doesn’t seem fair to try and take away legitimacy from a career of such class and dominance that was Mussina’s. That being said, it never seemed as if Mussina was the best pitcher on his team at any moment during his career. Particularly on the back-half when he was with the Yankees. He never won a Cy Young, but he was a seven-time Gold Glove winner. On top of that, he made the All-Star Game five times and finished top-five in Cy Young voting seven times. He had a marvelous career that seemed to go unnoticed until one really focused in on it. 270 wins, a 3.68 career ERA, and an 83 win pitcher in terms of WAR are all Hall of Fame worthy. But it shouldn’t come as much of a shock that it took six years on the ballot to gain this recognition when compared to the likes of Pedro Martinez, Randy Johnson, Tom Glavine, and John Smoltz, who all got the 75% in the previous few years. History. That’s really all there is to it when dissecting the career of Mariano Rivera. The all-time leader in saves, the all-time leader in games finished, and the all-time leader in ERA+ are all just minuscule numbers when thinking about the impact of Rivera during his career. People around Red Sox Nation remember him mostly for being on the mound for Dave Roberts’ steal, and Bill Mueller’s game-tying single in the ninth inning of Game 4 of the 2004 ALCS. But let’s not forget just how challenging it was for anybody to Mariano in the postseason. This man, who primarily threw a cutter when on the mound, posted a 0.70 career postseason ERA in 96(!) career postseason appearances. There’s a reason he’s called The Sandman. He just made the ninth inning look as routine as it gets. To cap off his illustrious, record-setting career, Rivera is also the first player to ever get unanimously inducted into the Hall of Fame. 425 people voted, and 425 ballots had number 42 checked off. Congratulations to everyone who will be getting enshrined in Cooperstown this season. It was a very deep class, and it’s safe to say these four checked all of the boxes when it comes to stats, class, awards, and World Series titles; but most importantly, their impact on the game of baseball as a whole was tremendous.